Betrayal occurs when a supporter cuts you down behind your back. Office politics see bosses and coworkers do this. So, how can we tell? What are the signs of betrayal at work? Research on the game, Diplomacy, gives us insights into the signs of betrayal at work. A form of game theory show what the signs are. 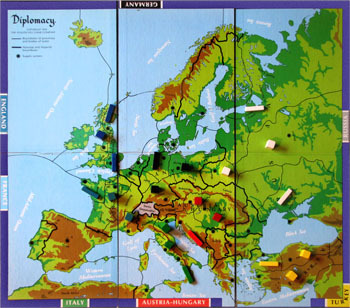 In this case, researchers used a real game, Diplomacy. This game is unique because a conference phase drives it. That makes it a game of collaboration. That is because no one can win without help from others. Thus, alliances form. At the end of this phase, in secret, players write down their moves. Then, they show them at the same time. They can move all or none of their pieces. They can support the moves of other players. At some point, alliances fall apart. One side betrays the other. So, researchers looked at the communications that occurred before then. The game’s online version preserves an extensive history for them to examine. 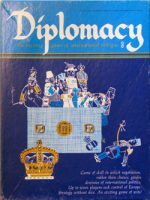 My 1976 edition of the game, Diplomacy. Betrayers often need to offset unconsciously some guilt. Talking more but saying less about future work and plans allows them to feel friendly. 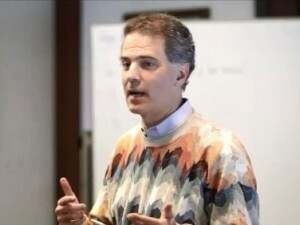 These are related forms of Don Vito Corleone’s words to Michael Corleone in the Godfather, “Listen, whoever comes to you with this Barzini meeting, he’s the traitor.” Timestamp” frameborder=”0″ allowfullscreen> See timestamp 3:25. Tight budgets and timeframes in a low-growth business make it ripe for betrayals. They aren’t so clear most times. It could start with a boss who endorsed a hire or worker for a project. It could be a coworker who praised an employee’s work. Things change. Pressure increases dishonesty. The worker becomes the boss’ fodder for a failed project. He becomes a way for the coworker to shift the search for blame elsewhere. Cutbacks must occur. Few like to think like this. Still, knowing the signs of betrayal at work helps. One can take precautions. After all, it’s a career . . . not a game.